BEST CORNER IN THE COMPLEX. 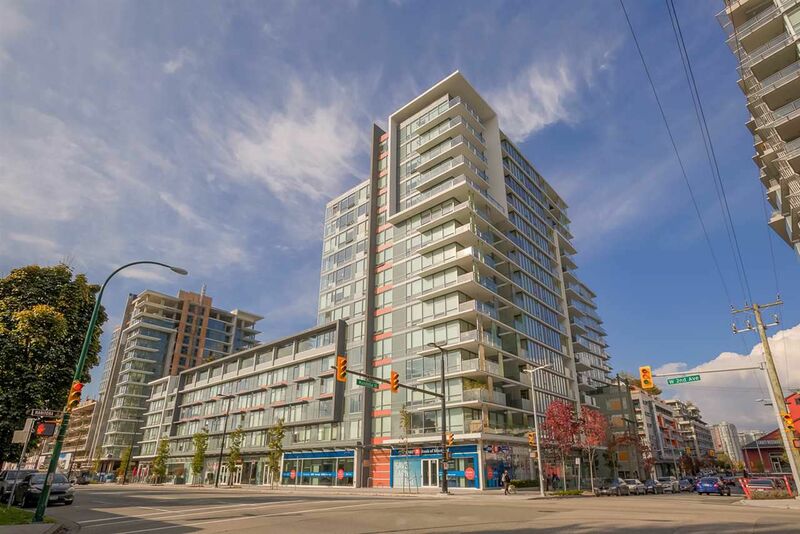 Bright, open-concept 2 bedroom + Den in the heart of Olympic Village, perfectly situated between both Expo and Canada Line stations, and only steps to all amenities (walk score: 95). The NORTH-FACING floor to ceiling windows plus oversized balcony offers peaceful QUIET unobstructed views of the Olympic Village courtyard and Mountains. Efficient floor plan wastes no space, with separated bedrooms, large dining and living room areas: This is an entertainers dream. High-quality design features spa-style bathroom with rainfall shower, as well as quartz kitchen countertops and Blomberg and Furlog appliances. 1 parking, 1 storage locker. OPEN HOUSE: October 20th: 2:00pm-4:00pm.